To protect the DC wiring from overloading, fuses need to be used as overloaded cables or wires can cause fire and hazardous situations. Overloaded wiring can be caused by faulty equipment or by simply too much equipment connected to the same wiring. Ingress of water in the navigation lamps is an example of a possible overload. A fuse protects the cable, not the connected equipment. Usually a fuse will be installed with a slightly lower value than the cable allows. 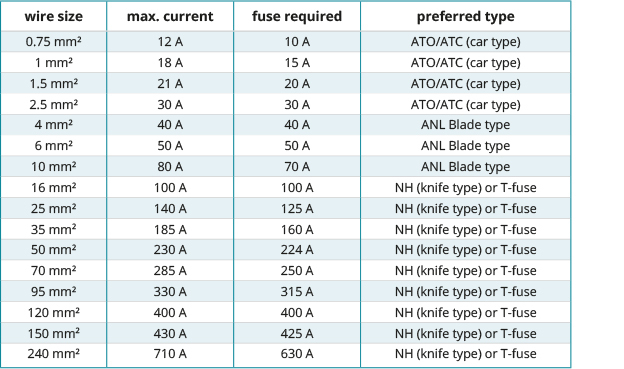 The table below provides an overview of the maximum current without overloading the cables, plus the required value of the fuse. For example, a cable of 6 mm² has a maximum load of 50 amperes so the value of the fuse should be 50 amperes at most. Installing a larger fuse would be dangerous as it could cause the cable to ignite. A smaller fuse can result in unnecessary failure of the connected equipment. Please note that fuse and cable ratings are subject to local regulations, consult your supplier for more detailed advice and installation. There are many fuses available and the most common for smaller loads is the ATO/ATC (car type) fuse. 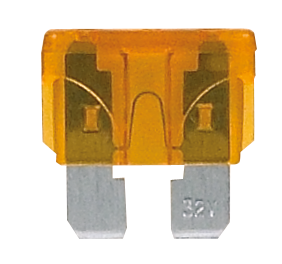 This fuse can protect wiring up to 2.5-4 mm². Although these fuses are available with a rating of more than 30 amps, this will not be recommended as the heat production will be high and a premature failure of the fuse might be expected. 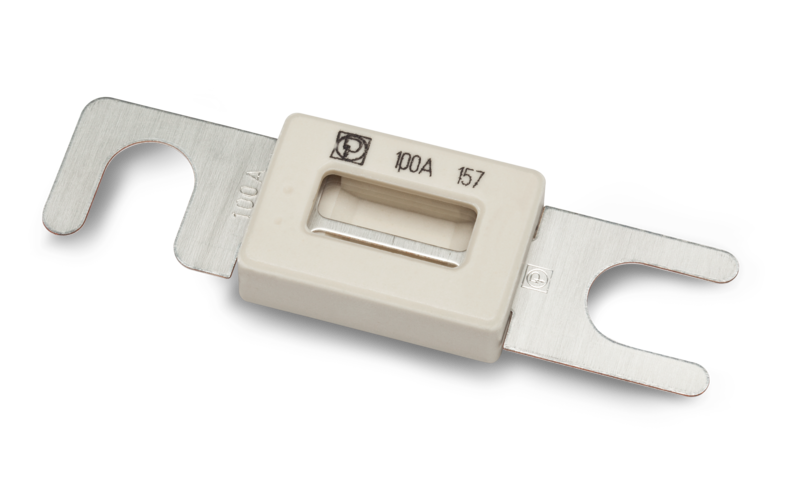 For higher loads or loads that are continuously powered, so called ANL or plate fuses will often be installed. 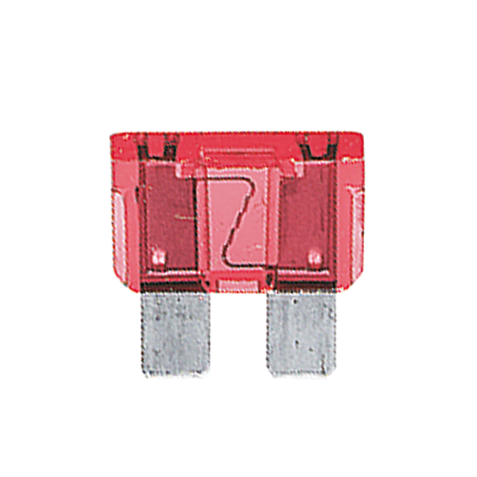 These fuses are commonly used for currents of approx. 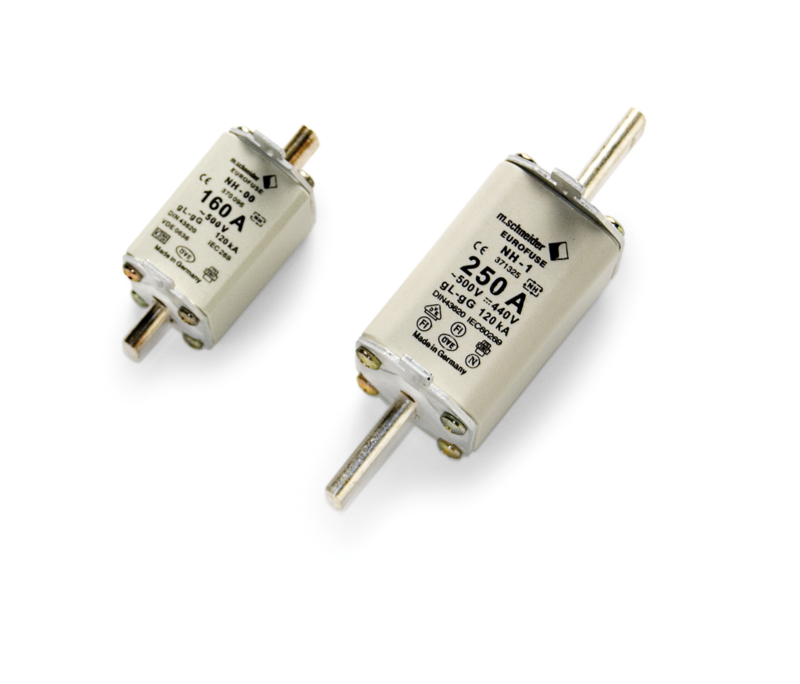 20 to 100-125 amps, but higher ratings are available. For more professional or high power installations, like for example winches or bowthrusters, often the NH (knife type) or T-fuse will be installed. 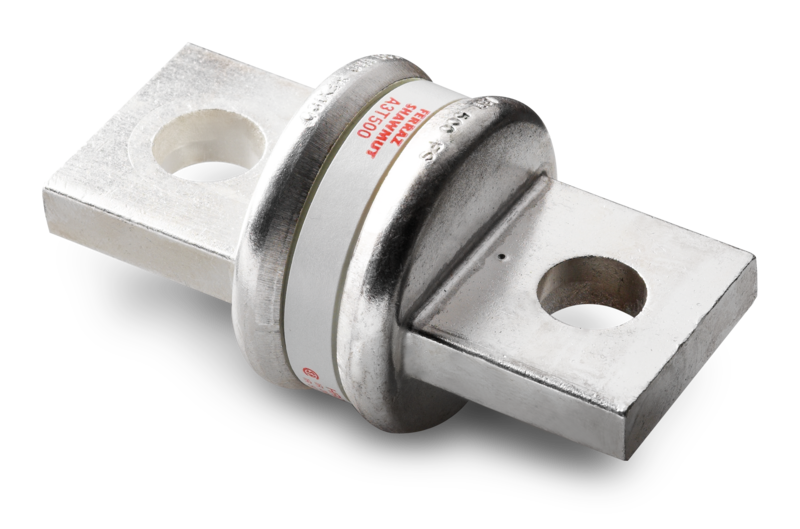 Although these fuses are sometimes, due to their physical size, not easy to install, they are very reliable. They are commonly used for currents of 50 amps and more. When charging batteries, other criteria are applicable for selecting the correct cable sizes.